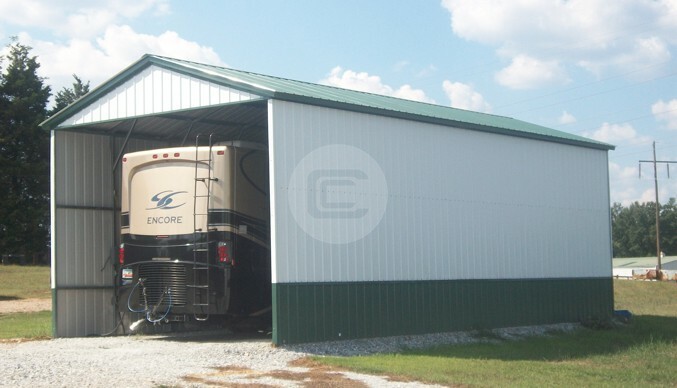 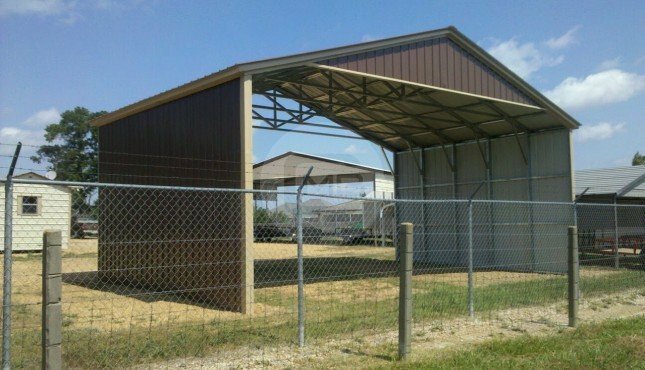 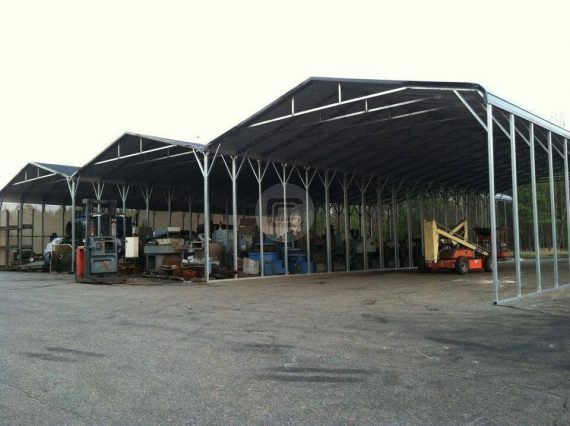 This massive 78x80x14 custom built metal RV carport with open sides, constructed from three 26 wide regular 14-gauge steel carports, is ideal for sheltering farming or outdoor equipment, recreational vehicles, or just about anything else you want to protect from the sun and mild precipitation. 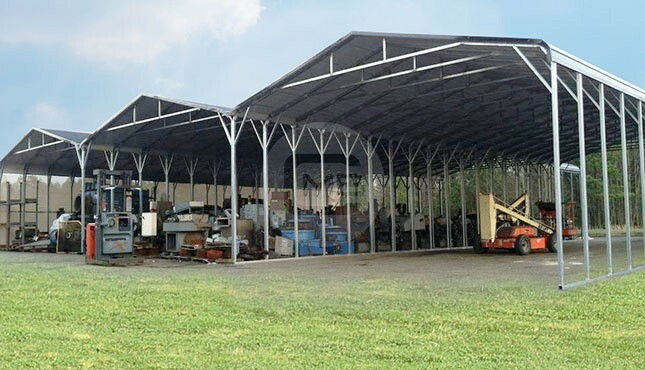 It can also provide a great sheltered workspace for those outdoor projects. 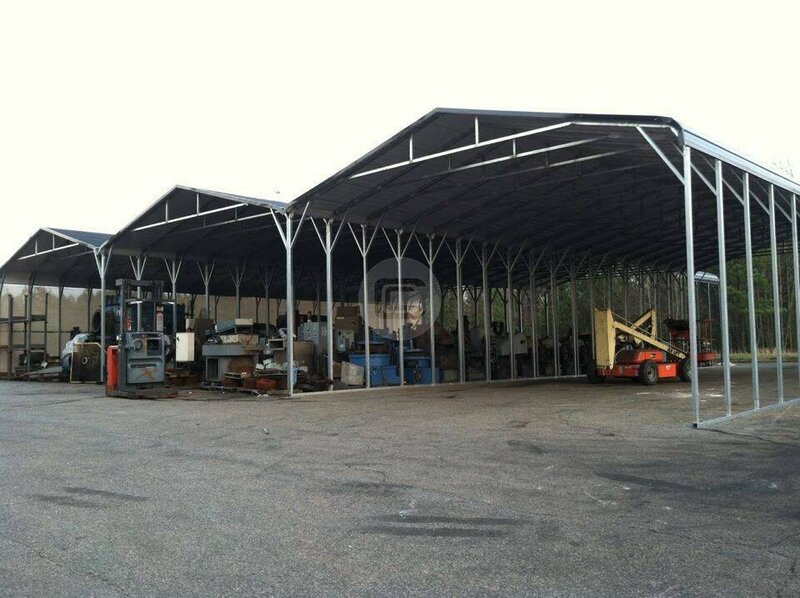 The regular roof style, with its panels running horizontally, is most suitable for areas that do not experience heavy winds or precipitation.